Doctris Game Deluxe Version - Doctor Smith's laboratory got contaminated by malicious viruses. 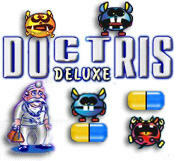 Doctris Deluxe Game - Doctor Smith's laboratory got contaminated by malicious viruses. They are hiding from him in laboratory glassware. Please, help the doctor to disinfect the laboratory and get rid of the viruses, so that he can come back to making his medications to cure the sick. The doctor drops pills inside the flask where the viruses are located to destroy them. 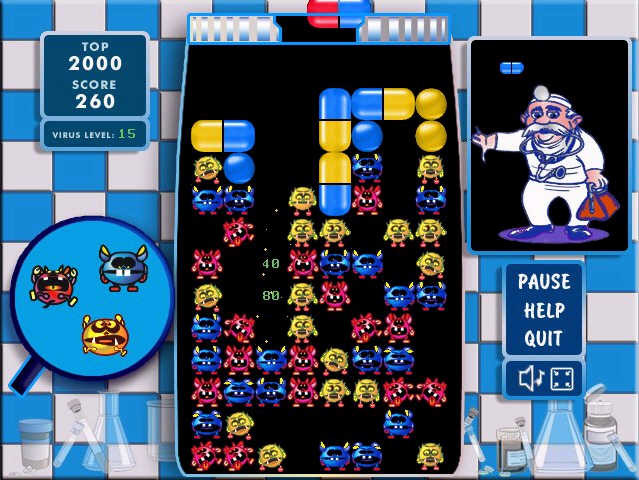 Your goal is to position the pills correctly to destroy all viruses in the flask. 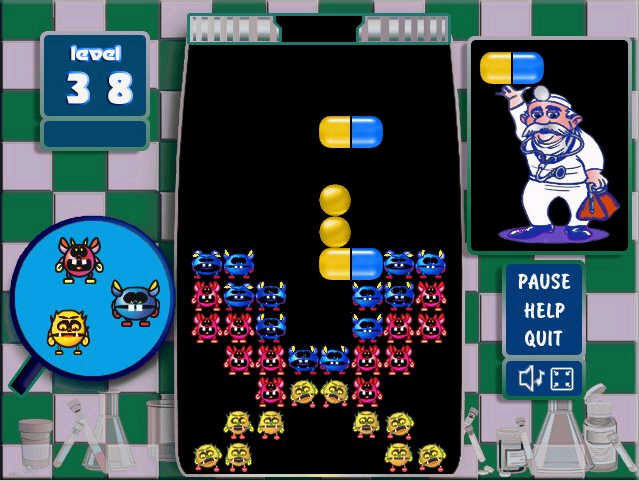 The virus gets destroyed if it is located in a row of the pills of the same color. Doctris Deluxe now features two new game modes, which means you can play for points! Cosmo Bots Game - Qix and Jezzball fans will love our super-addictive new game! Bookworm Deluxe Game - offers onscreen definitions, words up to 12 letters in length, super new sound and graphics and more. Cubis Gold 2 Game - The most original and addictive puzzle game enters a new dimension of fun! Dropheads Game - An Exciting puzzle game! Play dropheads game you will forget all your time ! Magic Vines Game - A puzzle magic vine game like no other! Play Magic Vines Game you will forget all your time !